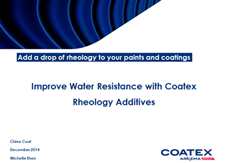 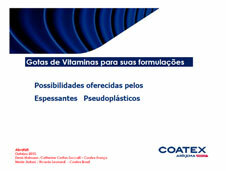 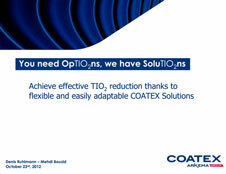 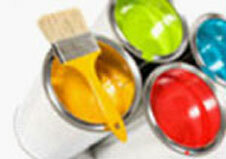 RHEOTECH™ 3800 by Coatex is an aqueous dispersion of an acrylic copolymer. 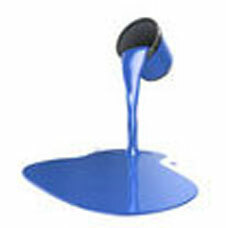 Itis an associative, tin-free acrylic thickener designed to improve both the rheology and the color acceptance of water based formulations. 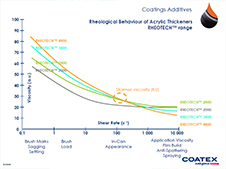 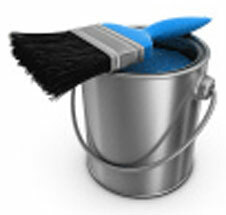 Its outstanding effectiveness at medium shear rates allows to control very easily the perceived quality of paints during handling and to facilitate coating by roll or by brush, especially for finishing touches. 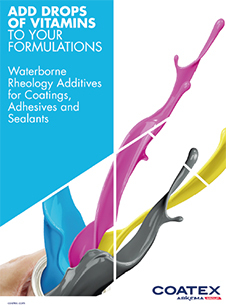 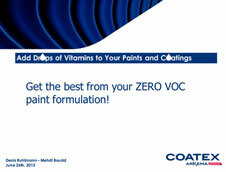 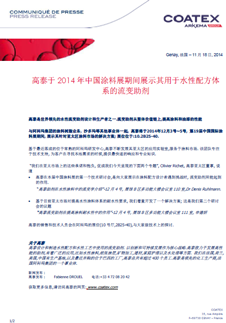 It ensures safe additions of colorants in water based formulations, limiting viscosity changes and rub-out issues. 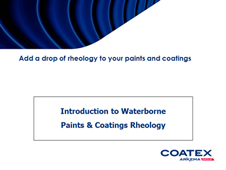 RHEOTECH™ 3800 can be used in every kind of alkaline water based formulation and particularly in solvent and Alkyl Phenol Ethoxylate (APE) free formulations. Provides improved sag/leveling, compromise and good water resistance. 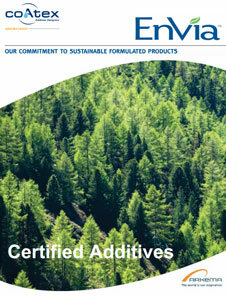 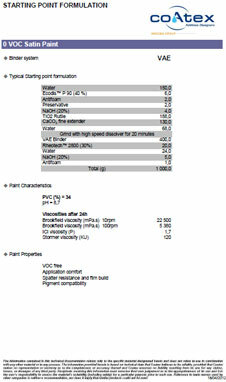 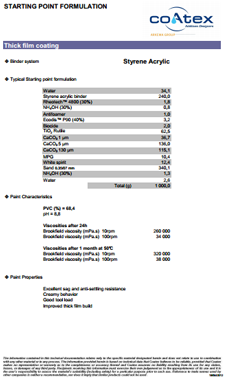 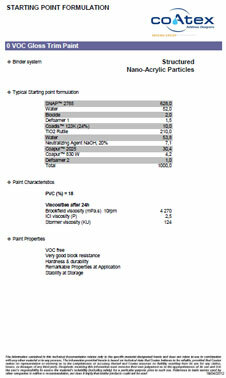 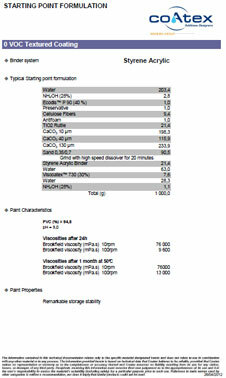 It can be used alone in formulation showing high PVC, e.g. 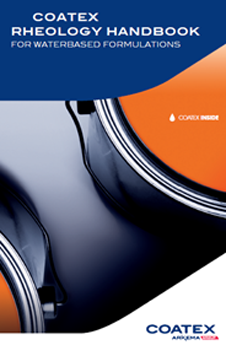 matt & sem-matt paints, fillers and low cost formulations, at concentration between 0.1 and 0.6% (dry on total formulation weight) typically.